Caregivers find little time for themselves. 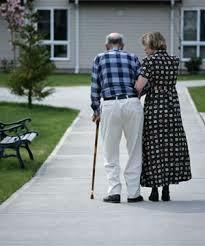 Days run together with a myriad of responsibilities when they are caring for a loved one. Our families often tell us they had very little time for themselves before their mom or dad moved to The Peninsula, an assisted living and memory support community in Hollywood. They felt overwhelmed without the opportunity to have some personal time. Living at an assisted living and memory support community, like The Peninsula, provides relief from day-to-day caregiving. There is great deal of comfort knowing there are professional caregivers at the community 24/7. Our services provide assistance with bathing, dressing and toileting. We’ll make sure mom or dad comes to the dining room for meals. And importantly, there are always people around and activities. Residents thrive in this environment of The Peninsula that offers greater social connections with others. Regardless whether a resident wants to participate in an activity or not; the choice is theirs. There are always people around and they can engage in conversations with others who have similar life experiences to share. This was often what they were missing where they previously lived—socializing with others. Their world became smaller as they were unable to drive and neighbors they may have depended upon moved on. There were few opportunities to engage in conversation and mealtime was hardly something they looked forward to enjoying when they were alone. With mom or dad living at The Peninsula, our families now have some personal time for themselves and they find their caregiver burnout and stress has been alleviated. The Peninsula emphasizes family involvement and always welcomes everyone. We encourage families to attend our special events too. For example, on Wednesdays at 1:00 p.m. there is live entertainment. Our Peninsula staff serves everyone refreshments and assists with residents who need help. Families can relax and enjoy the experience. We also encourage families to continue to take their parents out for a drive, go shopping, visit relatives or whatever they previously did before moving to The Peninsula. They are free to come and go as they please. We understand the challenges of caregiving. We hope you will consider The Peninsula for your loved one and our door is always welcome to talk and show you our community.